When the cold wintertime is approaching, it is essential to be properly dressed. With winter comes changing weather conditions, and therefore, winter clothes must be able to withstand the cold, rain and wind. 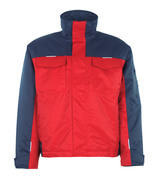 At MASCOT, we have a wide assortment of functional and durable winter jackets of high quality. MASCOT's winter jackets give you ultimate protection against the elements, and many of the jackets are approved according to EN 342 and EN 343. 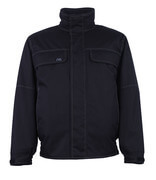 MASCOT's winter jackets are available in a very wide range of colours so there is a jacket for every industry. If you need extra high visibility and safety in your workplace, the winter jackets are also available in fluorescent colours and with multi-protective properties. MASCOT's winter jackets are available in several different varieties and materials. The jackets are equipped with all the practical and spacious pockets that are good for keeping all the things you need close at hand. MASCOT's winter jackets are produced in materials of the best qualities, and therefore you will find jackets that are both breathable, windproof, and water-repellent. Several jackets are also produced in MASCOT's own material MASCOTEX® and have taped seams, which makes the jackets 100% waterproof. The winter jackets from MASCOT are lined with the best materials in order to give you an insulating and warm jacket. You will find winter jackets with i.e. quilted lining, pile lining and fleece lining. The winter jackets are also available with CLIMASCOT® lining, which is an insulating and breathable lightweight material. If you have a job with high activity in cold surroundings, you may want to choose a winter jacket with CLIMASCOT® lining so you can get rid of excess heat and avoid getting wet and cold. If you want a winter jacket with exceptional freedom of movement, go for a winter jacket from the MASCOT® ADVANCED range. In this range, you can choose between different winter jackets of a four-way stretch material that is elastic in all directions and where nothing tightens or bothers while working.